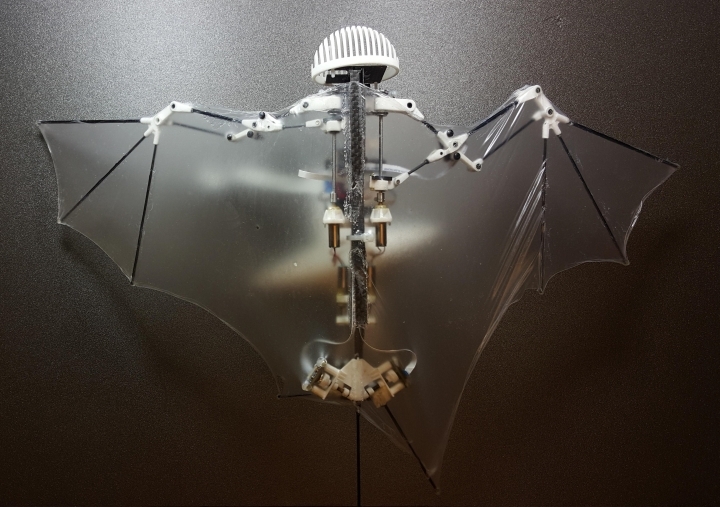 The bat robot flaps its wings for better aerial maneuvers, glides to save energy and dive bombs when needed. Eventually, the researchers hope to have it perch upside down like the real thing, but that will have to wait for the robot's sequel. "Whenever I see bats make sharp turns and perform upside down, perching with such elegant wing movements and deformations, I get mesmerized," said another author, Soon-Jo Chung, a professor of aerospace at the California Institute of Technology. The Bat Bot has nine joints and measures slightly less than 8 inches from head to tail. Its super-thin membrane wings span about a foot and a half. The flexible flapping — as much as 10 times per second — acts "like a big power amplifier," Hutchinson said. The researchers still need to add cameras, build more drones and get permission from federal agencies to fly them, but Hutchinson said these bat robots could be flying around work sites and disaster zones within five years. It's already taken three years and cost $1.5 million, including a team of experts from Brown University who studied bat flight, Hutchinson said. 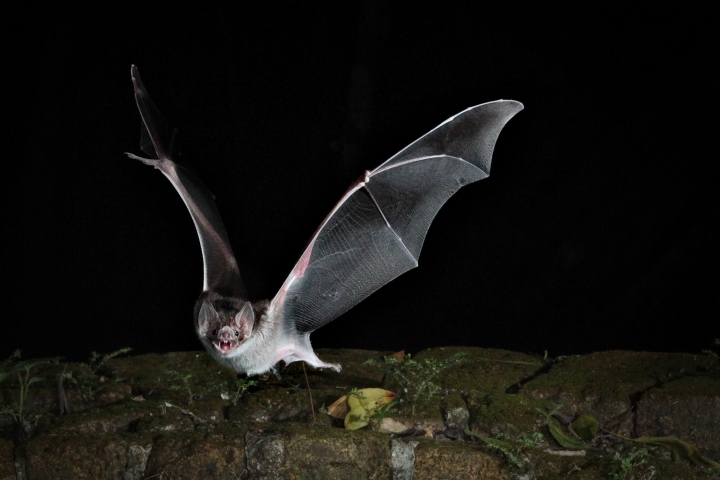 Smaller fixed-wing drones have problems with maneuverability and four rotors are not efficient, so a bat-inspired design is "a very intriguing line of research," University of Pennsylvania engineering professor Vijay Kumar said in an email. However, he noted, "it is too early to tell if these designs will actually be superior."